Sometimes in smaller companies recruitment can be a haphazard activity. Often driven by a departmental or seasonal need, a problem may occur that may be solved by introducing a new member of staff. However, as an organisation grows or the goals and aspirations of the business come into focus, this reactive approach becomes less than satisfactory. Whilst specific recruitment can take days or weeks, building and moulding a successful company takes a lot longer. As the organisation grows, requiring additional roles in each department, it will become vital to maintain a consistently high approach to recruitment as more and more people become involved in the recruitment process. Whilst a centralised Human Resources function is desirable, perhaps the first step is to establish a Preferred Suppliers List with recruitment companies that satisfy and adhere to Service Level Agreements that suit both client and supplier. 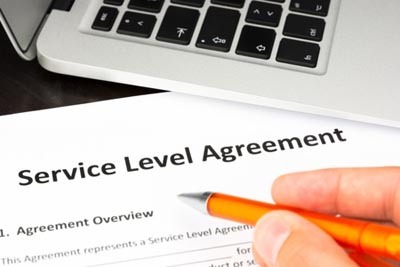 Whilst this may sound like additional administration at the outset, PSLs underpinned with SLAs have a number of benefits to help a company grow more efficiency and, ultimately, more cost effectively too. Help the recruiters to sell your business to their best candidates and get them more involved and committed to helping you grow over the long term. Reduce your reliance on freelancers and contractors, who may be more expensive in the short-term, and who then leave the organisation at the end of their contract, taking all their knowledge with them. Save money - key recruiters may be on a long-term retainer rather than a percentage based on an employee salary - but, whatever payment profile is chosen to satisfy both parties, this doesn't need to be renegotiated for each new employee. Enable an HR function to become efficient when dealing with a number of recruitment companies as the expectations of performance should be consistent across the board. Enable accurate measurement of the efficiency of the recruitment process as a whole. With haphazard and unmanaged recruitment, you are often comparing apples with oranges. With effective PSLs in place, you should be able to chart performance and discover new ways to improve. Over time, your brand (what you actually do, not your logo etc) within your industry sector will increase. As you recruit better people and manage the recruitment process better, you become a more desirable employer, in turn attracting key talent to want to work with you. Save time on the recruitment process itself and by selecting the right new people more often and avoiding the common recruitment mistakes. SLAs help to formalise your relationships with recruitment agencies by setting performance guidelines and expectations and establishing the rules of engagement - helping both parties to perform predictably and efficiently. Ideally, this becomes a set of "best practice" procedures, which both parties can become proud of delivering. As a guideline, a good SLA will measure the metrics of the recruitment process in order to analyse the level and quality of communication between employer and recruiter. They will look at the metrics around the CV, the interview, the offer, the acceptance, the start date, the probation and the retention processes to analyse how well the recruiters understand the company and role requirements and, importantly, the culture of your organisation. PSLs and SLAs will ultimately make your recruiting easier. Departmental managers will know what procedures to follow and what timeline the process will take and so can plan their resourcing far more effectively. The HR function can successfully compare and contrast recruiters and can find real improvements. The recruiters have a longer term outlook and can afford to invest their time and money in really understanding their client needs and culture. In short, everybody wins! To work with a recruitment company with the long-term view, call us for a chat on 01793 762026 or email Jackie and her team at: jackie@jackiekerrrecruitment.com.